Higher education is expensive. There’s no two ways about it. Many who choose to attend college or university find themselves paying off their student loans well into their thirties. This is a common repercussion of choosing a course with limited and/or low-paying job options. Now if your dream job doesn’t offer a gargantuan salary but will leave you feeling fulfilled at the end of the day, we don’t want to discourage you from going for it. That being said, if you are the kind of person who holds financial reward above all else, you’re going to want to choose a major which will open the door to some high-paying employment opportunities down the line. Finding a major which will lead to a high salary while keeping you interested might be a tad on the tricky side. A lot of courses which offer a path to high paying jobs can be quite boring and leave you wondering if the money's really worth it. However, there are a few majors out there which will give you the perfect combination of stimulation and gain, and we’re going to cover them on this list. Here are the top ten college majors with great salaries. Computer forensics is the collection and study of digital data in the prevention of crime. It is widening the borders of possibility in criminal justice and is being utilized with increasing regularity to solve crimes and take criminals off the streets. If you have an interest in computers and want to use your skills to truly better the world, computer forensics is the perfect combination of stimulating work and moral reward. There are a number of courses you can take in order to become a computer forensics specialist, but more and more employers prefer candidates who have a degree specifically in computer forensics. This can be obtained through a four year course and is best accompanied by professional certification. The median annual salary of a computer forensics specialist in 2016 was $68,357, though that takes into account every state in America. Computer forensics specialists who are based in larger states with higher crime rates can expect to earn significantly more than those who make their living in less active areas. 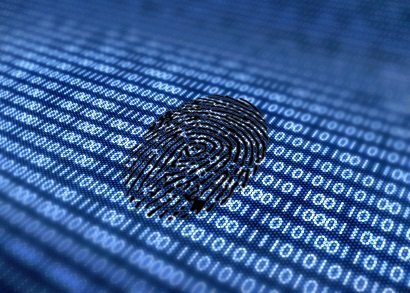 Larger state law enforcement branches are also likely to have a better developed and more in demand computer forensics department, so job openings in those areas will be much more common than in more peaceful states. If there is one industry which is never going to fall, it’s the hotel and restaurant industry. People will always need hotels and restaurants, so if you’re looking for long-term job security, a major in hotel and restaurant management is a pretty safe bet.While a lot of college courses will force you to sit and study notes for hours on end, hotel and restaurant management courses are full of practical information which will equip you with everything you’ll need to effectively run your business. You will be taught how to assess potential employees, how to train staff, and how to handle the various tense situations which inevitably arise when unpleasant customers meet unpleasant situations. Once you complete your initial four year course in hotel and restaurant management, you may choose to do another two year course. This additional course will examine accounting and bookkeeping matters in greater detail, and will familiarize you with emerging technologies in the industry. While it is not essential that you continue your education in this manner, it will give you a greater chance of scoring a high-paying role when you are ready to put your degree to use. The median annual salary for a lodging manager in 2014 was $49,720, which isn’t bad, but can be improved upon if you manage to find employment in a bustling area. For example, a lodging manager in Nevada, which welcomes millions of tourists every year, can expect to earn an annual salary of in or around $74,180. Those who use their hotel and restaurant management degrees to score a job as a restaurant manager in the United States of America earn a median annual salary of $48,690. Again, this is a pretty nice salary, but a hard (and somewhat lucky) worker will earn far more. Managers of busy restaurants in busy cities can expect to see their annual salary almost double from the national average. It can be said that a company is only as strong as those in its communications department. In order for a business to run smoothly, all departments must be on good terms and working towards the same end goal. Everybody on the team must be aware of who is doing what and of what is expected of them to ensure the continued growth of the business. It is up to those in corporate communications to make sure that this is the case. A company’s corporate communications division will also interact with shareholders and investors, whose happiness is key to a business’ progression. Perhaps most important of all, it is the job of those in corporate communications to interact with the general public and make sure the world is aware of what the company does and holds it in high regard. Because so much is hinged on having a strong corporate communications department, companies are generally pretty picky when it comes to who they hire. If you’re hoping to make a career in corporate communications, you’re going to need a degree from a respected college. A four year major in corporate communications will focus on developing both your written and oral communication skills, as well as building your understanding of general business practices. If you find the right program, you will be granted an internship which will allow you to gain some hands-on experience. A degree in corporate communications will qualify you for a number of positions in human resources and public relations and you can expect a median annual salary of just under $60,000. However, those who score jobs with big city companies can expect to earn even more in their first couple of years on the job.There is a lot of room to progress in corporate communications once you obtain the necessary qualifications. If you can work your way up to being the senior manager of a corporate communications department, you will enjoy a salary of upwards of $90,000 a year. Dental hygiene has a reputation for being a bit of a depressing endeavor. In fact, the whole dental industry is said to be one of the bleakest in the world. While it is true that looking into dirty mouths all day, every day can become a little boring, dental hygienists have a nice salary to comfort them when they’re feeling low. 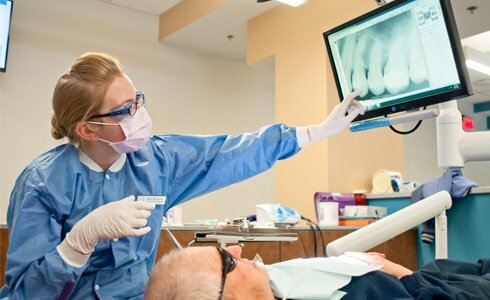 To qualify as a dental hygienist, you must complete a four year course in which you will study radiology, pathology, microbiology, and dental materials, among other subjects. Yes, it can get pretty tiring at times and you might have some difficulty convincing yourself to stick at it, but you need to keep reminding yourself of the end reward. If you are to gain employment as a dental hygienist once you obtain your degree, you must also score a passing grade on a licensing exam in order to prove you know your way around a patient’s mouth. As recently as December 2016, the average annual salary for a dental hygienist in the United States was estimated to be $70,000, with most earning between $59,000 to $79,000. This, of course, varies state to state. The average dental hygienist in New York earns an average yearly salary of $68,000 while dental hygienists in California earn over $100,000. This is a pretty significant difference and can be traced back to the vanity which has made residents of California so infamous. Unsurprisingly, California is also a great place to be if you are a physical trainer, a stylist, or a plastic surgeon. The TV series Mad Men, which features Jon Hamm as fast-talking, streetwise marketing genius Don Draper, has convinced a generation to pursue a major in marketing. But despite the success of Mad Men, marketing as a profession has a bit of a bad reputation, which may or may not be justified. However, it is impossible to deny that there is plenty of money to be made in marketing for a guy who’s willing to work for it. Those who enter into a marketing course should have some natural business prowess. It is essential that you have that killer instinct so often spoken about by those in the industry, along with impeccable time management skills and a drive to be the absolute best you can be. The four years you will spend studying marketing will focus on honing your skills to turn you into an unrelenting marketing machine. Many programs involve an internship, so you can build your marketing know-how while gaining some hands-on experience. One of the great things about a degree in marketing is that it can be used to score a number of jobs. Those who have completed their major in marketing have gone on to work in retail, e-commerce, and, of course, advertisement. The median annual salary of a marketing major varies depending on which career he or she chooses, but almost everybody in possession of a degree in marketing can expect to earn well over $50,000 a year. The average annual salary of a digital marketing manager in the United States is currently estimated to be $65,000, while a regional sales manager can expect to earn in or around $88,500. The median annual salary of a marketing manager is $70,000. Like most jobs, the average salary of those holding a degree in marketing will vary depending on what state they work in. Most companies do the bulk of their advertising in cities, so those who are involved in marketing jobs in states with a high number of cities can expect to earn more than their counterparts in smaller states. Marketing managers in New York City, home of advertising mecca Times Square, boast a median annual salary of just under $100,000 a year, with many clearing six-figures annually. Those in California can expect to earn a similar annual salary, as can marketing managers in Texas and Connecticut. The medical industry is always a good place to go if you’re hoping for a large median salary and rehabilitation sciences is a great major if you aren’t enthused by the idea of working the hectic schedule of a doctor or a registered nurse. There was a time when sports stars paid very little attention to their bodies and would often play through injuries. However, a change in attitude towards physical health has resulted in competitors seeking treatment for even the most minor of injuries, meaning the rehabilitation industry has entered a state of perpetual growth. Of course, rehabilitation therapists don’t just deal with famous athletes. They also work with everyday people who are trying to regain control over damaged body parts following accidents or health issues. For example, those who have suffered a stroke will work with a rehabilitation therapist in order to regain full movement in their body. Because rehabilitation therapists play such an important role in the lives of others, it is important that you be fully qualified in your field. During your time majoring in rehabilitation sciences, you will study the human body in great detail, particularly the science of movement. Biomechanics, which is a notoriously difficult subject to grasp, is a heavy feature of any rehabilitation course, so you must be prepared to put the work in. Once you obtain your degree in rehabilitation therapy, there are a number of avenues which you can go down in terms of employment. The most obvious career choice for a person who majored in rehabilitation sciences is, as you probably guessed, physical therapy. The median annual salary of a physical therapist in the United States of America is $75,000. This can rise and fall depending on skill, experience, and the state in which you practice. The median annual salary of a physical therapist in Texas is $91,100, which is quite a bit more than the median annual salary of a physical therapist working out of Wisconsin ($79,000). Florida is a great place to ply your trade if you’re a physical therapist, owing to the large population of sports stars. The median annual salary of a physical therapist in the state of Florida is $83,570, though the most successful of Floridian physical therapists can expect to earn well over $100,000 each year. In recent years, there has been a push to increase international mental health awareness and encourage those who may be suffering from mental health issues to seek help and talk about what they are going through. Teenagers and young adults have been an integral part of the effort to increase mental health awareness, so it is no surprise that child psychology is a rapidly growing field. If you choose to pursue a major in child psychology, you will find yourself in a course which is pretty intense and, for many people, extremely difficult to follow. In your child psychology course, you will study general psychology, child growth, and language development, among other difficult to comprehend subjects. You should also expect to spend a lot of time looking at various therapy techniques. New methods of therapy are constantly emerging, so trying to wrap your head around all of them might feel like trying to memorize the entire periodic table of elements, but it is an essential part of your education if you are to successfully tackle and deal with mental health related issues in children. A major in child psychology will open the door to a number of careers. You will be able to seek employment as a school counselor, a hospital child psychologist, or even an orphanage liaison. Many with a degree in child psychology wind up working with health organizations, which allows them to put their degree to use with minimal interaction with young children. Salaries in the psychology industry are usually fairly high, and the average annual earnings of psychologists across all areas is $90,010. On average, somebody who decides to pursue a career as a school psychologist in the United States of America will earn an annual salary of just under $68,000, making it one of the highest paid positions in American childhood education. This, of course, varies from state to state, with school psychologists in states with a greater emphasis on mental health earning significantly more than those in less progressive states. For example, a child psychologist in mental health conscious California can expect to earn a median annual salary of well over six-figures, with some making as much as $206,000 in a single year. Those located in a state like Alaska earn a median annual salary of $65,300. It’s important we take a moment to stress the fact that child psychology is not an area for somebody who has no greater ambition than to make as much money as possible. Child psychology is no place for mercenaries. School counselors work with the most fragile of children to rebuild their confidence and mental health in the aftermath of traumatic situations. If you want to enter this field, you must have impeccable patience and empathy. If you are only in it for the money and have no emotional investment in the treatment of your juvenile patients, you cannot expect them to make any significant progress through their sessions with you. If you’re the kind of person who is always monitoring the international market and thinking beyond the parameters of your own country, you should definitely consider pursuing a major in international business. This is a degree which will blow your job opportunities wide open and give you everything you need to earn a fantastic annual salary. More and more companies are choosing to operate outside of the United States of America, mainly due to issues concerning taxation, so there are hundreds of jobs available for somebody with a degree in international business; though, admittedly, recent political developments could change that. During a four year international business degree, you can expect to study complicated and often intimidating subjects such as international marketing, international banking, and foreign market analysis. There is a silver lining, however. Many colleges which offer courses in international business allow participating students to spend a period of time studying abroad with their already completed hours transferring over. It is not uncommon for a college student to spend a year or two studying abroad, but it is especially beneficial for those studying international business as it provides them with an invaluable opportunity to experience the foreign market for themselves. As mentioned already, a degree in international business will open the door to a range of employment opportunities, with some being more suited to particular candidates than others. For example, if you don’t have the killer instinct necessary to become a successful businessperson but have a talent for linguistics, you may be able to pursue a career as an interpreter or a translator. The median annual salary in this job is $43,590. It should be noted, however, that the continued and incessant advancement of technology could render this job obsolete within the next couple of decades. If you are the archetype businessperson, a job in international marketing may be right up your alley. This is an area with great advancement opportunities and the hardest of hard workers could find themselves in a management position after less than ten years on the job. Should this be you, you can expect to earn an annual median salary of $123,450. The median annual salary of an international marketing manager is one of the highest in international business, but that of somebody involved in international finance management is not far behind. A high roller in this area of international business can expect to earn upwards of $115,000 on a yearly basis. If you are drawn towards electronics and have any sort of experience taking apart and reassembling electrical objects, you are the perfect candidate for a major in electrical engineering. More and more people are flocking to electrical engineering every year. This is likely due to the fact that a degree in electrical engineering opens the door to a number of jobs, making it the ideal major for those who are electronically inclined but aren’t sure what they want to do just yet. Many of the jobs a major in electrical engineering will qualify you for come with significant salaries, even in entry-level positions. In the United States, the annual median salary for an electrical engineer is $73,000. However, the most skilled and experienced workers in the industry have been known to earn north of six-figures each year. If you want to make it into the highest-paid 10% of electrical engineers (and why wouldn’t you? ), it is not enough to be dedicated or talented. You must study the market and find the perfect state in which to ply your trade. For example, the average salary for an electrical engineer in New York, New York is estimated to be $71,700, while an electrical engineer in Minneapolis, Minnesota can expect to earn an annual income of $74,600. You should also remember that the cost of living in New York is significantly higher than in the Midwestern states, so a Minneapolis electrical engineer will likely have a greater nest egg to fall back on than his or her big city counterpart. If you’re obsessed with electronics but aren’t quite sold on majoring in electrical engineering, you should give some consideration to a major in robotics. Robotics, as the name suggests, is the production of robotic devices to be used in a variety of areas. Due to the world’s ever growing, perhaps ill-advised reliance on mechanics to perform everyday tasks, the robotics industry is on the up and up, as are the salaries of those who work in it. A major in robotics will make you a contender for some seriously high-paying jobs. The average salary of a robotics major in the United States comes in at just under $82,000 a year. Those who work in the major tech states such as California have the opportunity to reach a six-figure salary within a couple of years of graduating. Robotic engineers located in states which are less influential in the technology industry may be forced to relocate or find a different means of making a living. Robotics is a male-dominated industry, with women accounting for less than 10% of robotic engineers across the United States of America. That being said, anybody, male or female, will have a difficult time scoring a job in robotics at the moment. The number of qualified candidates far outweighs the number of positions available. Of course, those who do manage to find themselves a job in the robotics industry will enjoy a generous salary and the opportunity to work in an industry which is unlike any other.